Referring to Donald Trump as a “cargo ship” – massive, but essentially vacant – Bryan Cranston doesn’t mince his words when it comes to the presumptive Republican nominee, arguing that Trump wants the title of president but not the work that comes with it. Plus, the Academy Award nominee reveals he intends to stump for Hillary Clinton. 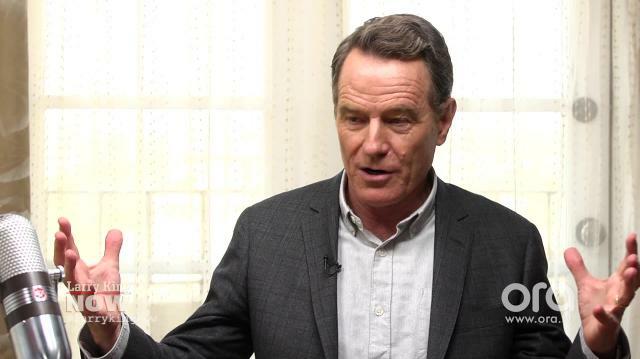 Bryan Cranston doesn’t hide his feelings when it comes to presumptive Republican nominee, Donald Trump. Cranston argues against the businessman turned controversial politician, calling out Trump's lack of interest and experience, as well as revealing that he intends to support Hillary Clinton. Cranston takes ownership of his social media presence by sticking to what he recently tweeted about Donald Trump’s presidential campaign. Cranston refers to Trump as a “cargo ship” – massive, but essentially vacant when it comes to the experience and attention to policy expected of a presidential candidate.